New technologies like the 20-mega pixel camera and octacore AP are applied in succession. This is the best Galaxy smartphone that Samsung Electronics, the No. 1 smartphone manufacturer in the world, can make with its new technologies. Of course, this product is quite unlikely to be released because of costs. However, as new technologies are adopted by the new smartphones, which will be released next year, one after another, it seems that hardware innovation will be continued. For starters, the performance of the AP, called the brain of the smartphone, will be greatly improved. It seems that Samsung Electronics will apply the octacore processor with the 64-bit bus to smartphones. Previously, Samsung Electronics designed chips according to the architecture provided by ARM, but plans to fully utilize its own architecture platform. Currently only Apple and Qualcomm entered into an architecture license agreement with ARM in the AP market and developed their own platform. Communication modem functions like 3G and LTE are highly likely to be embedded in the AP. Recently, the System LSI Business Division of Samsung Electronics created the Modem Development Office to develop the ‘AP+modem combo chip.’ The AP+modem combo chip can enhance the efficiency of circuitry when a smartphone is designed, and it is highly cost-competitive. Samsung Electronics is also developing a smartphone camera module equivalent to the digital single-lens reflex (DSLR) camera. Samsung Electronics began to develop a 20-mega pixel smartphone camera module with a view to finishing it by the second half of 2014. It seems that the company will apply the 16-mega pixel camera module to the Galaxy S5, and apply the 20-mega pixel product to the Galaxy Note 4 or Galaxy S6. The external design is highly likely to be changed to a great extent. Samsung Electronics is recently conducting R&D to apply the diamond metal surface treatment technology to metal cases. In a word, a diamond material is coated onto the metal case surface of smartphones. If the metal case is coated with a diamond material, vulnerabilities to scratches and deformation can be redressed. Samsung Electronics understood that, if carbon is exposed to high temperature and high pressure, a diamond-like material can be obtained. This material is turned into powder or liquid and coated onto the surface of the metal case. Samsung Electronics researchers are known to consider treating the metal surface with nano materials or turning it into paint and coating the surface with it. Following the fingerprint recognition technology, it seems that the iris and face recognition technology will also be adopted for smartphones. 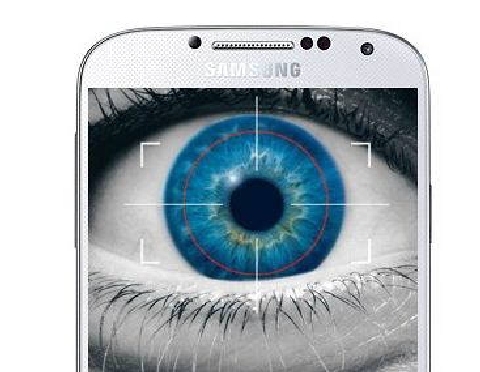 As Samsung Electronics and Apple are competitively applying for patents related to biometrics recently, it is expected to be applied to smartphones as early as next year. 현재 세계 1위 스마트폰 업체 삼성전자가 보유한 신기술로 만들 수 있는 최상급 갤럭시 스마트폰이다. 물론 원가 부담 탓에 이 같은 제품이 출시될 가능성은 희박하다. 그러나 새해에 출시되는 신제품 스마트폰에는 신기술이 잇따라 채택되면서 하드웨어 혁신을 이어갈 것으로 보인다. 우선 스마트폰의 두뇌로 불리는 AP 성능이 크게 개선된다. 삼성전자는 64비트로 버스를 넓힌 옥타코어 프로세서를 스마트폰에 적용할 것으로 보인다. 종전에는 ARM이 제공한 아키텍처 그대로 칩을 설계했지만, 앞으로는 자체 아키텍처 플랫폼을 적극 활용할 계획이다. 현재 AP 시장에서 ARM과 아키텍처 라이선스를 맺고 자체 플랫폼을 개발한 곳은 애플?퀄컴 정도다. 3G?롱텀에벌루션(LTE) 등 통신 모뎀 기능도 AP 속에 장착될 가능성이 크다. 최근 삼성전자 시스템LSI사업부는 `AP+모뎀 통합칩` 개발을 위해 모뎀개발실을 신설했다. AP+모뎀 통합칩은 스마트폰을 설계할 때 회로 효율성을 높일 수 있고, 원가 경쟁력도 높다. 렌즈교환식(DSLR) 카메라와 맞먹는 스마트폰 카메라모듈도 개발 중이다. 삼성전자는 내년 하반기를 타깃으로 2000만화소 스마트폰 카메라모듈 개발에 착수했다. 갤럭시S5에 1600만화소 카메라모듈을 적용한 이후 갤럭시노트4 혹은 갤럭시S6에 2000만 화소 제품을 적용할 것으로 보인다. 외장 디자인도 크게 바뀔 가능성이 높다. 삼성전자는 최근 다이아몬드 금속 표면 처리 기술을 메탈 케이스에 적용하는 연구개발(R&D)을 진행 중이다. 한마디로 스마트폰 메탈 케이스 표면에 다이아몬드 소재를 입히는 방식이다. 메탈 케이스에 다이아몬드 소재를 도포하면 흠집?변형 등에 취약한 단점을 보완할 수 있다. 삼성전자는 탄소를 고온?고압에 노출하면 다이아몬드 수준의 물질을 얻을 수 있다는 데 착안했다. 이를 분말이나 액체 상태로 만들어 메탈 케이스 표면에 처리하는 기술이다. 삼성전자 연구진은 나노 물질을 금속 표면에 처리하거나 페인트로 만들어 도장 처리하는 방안을 검토 중인 것으로 알려졌다. 지문인식 기술에 이어 홍채?얼굴인식 기술도 스마트폰에 채택될 것으로 보인다. 최근 삼성전자와 애플은 생체인식 관련 특허를 경쟁적으로 출원하고 있어 이르면 내년부터 스마트폰에 적용될 것으로 예상된다. 증권가 한 애널리스트는 “스마트폰 시장에서 가격 경쟁이 점차 치열해지고 있지만, 하드웨어 혁신을 멈춘다면 생존하기 어렵다”며 “새로운 기술로 어떤 상품을 기획해 브랜드와 잘 조화를 이루느냐가 관건”이라고 말했다.